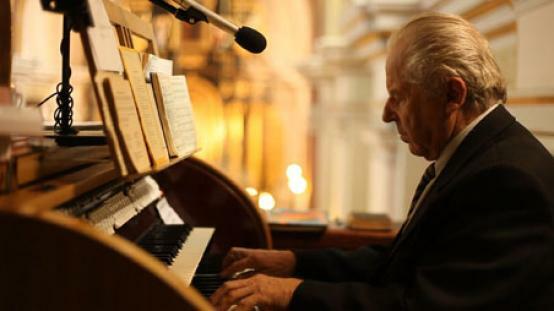 Maestro is a portrait of Stanisław Ziaja, a Polish organist and pipe organ builder. The film tells his story and provides a closer look at the complicated machinery thanks to which the beautiful instruments spring to life. Despite the harsh communist times, he managed to create the necessary tools on his own, and built his workshop. Now 79, Stanisław has been professionally active for over 50 years. He shares his knowledge with the grandsons as it is the only way to become a true craftsman. Konrad Ziaja was born in 1988 in Rzeszów. He studies Arabic philology at Jagiellonian University and works as a freelance camera operator, editor and stereographer. He gained professional experience working with the PSTV student television, creating various short film projects and participating and cooperating with the Film Spring Open workshops and festival. He runs 3DReady.pl - a polish blog about the 3D technology. Maestro is his first documentary.